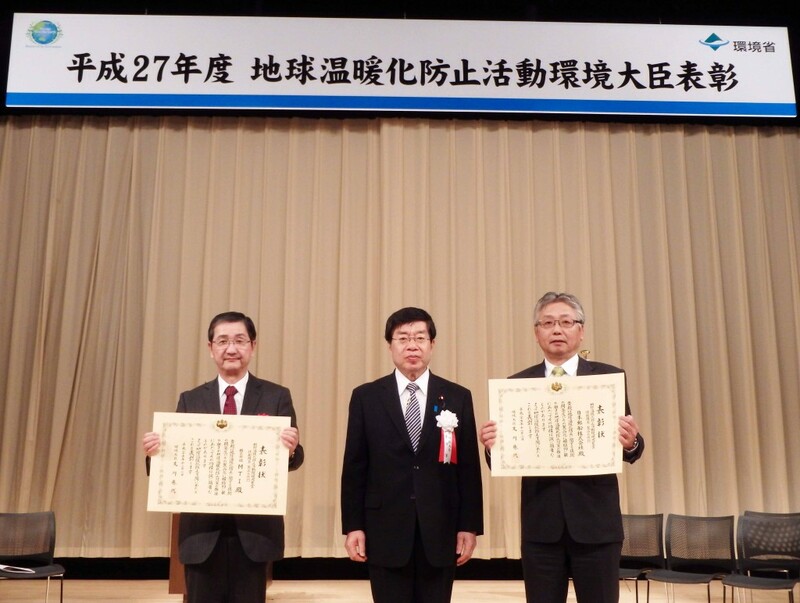 NYK’s Ship Information Management System (SIMS), jointly developed by MTI and Nippon Yusen Kabushiki Kaisha (NYK), has been recognized with Japan’s 2015 Minister of the Environment Award in the Technical Development and Commercialization category. 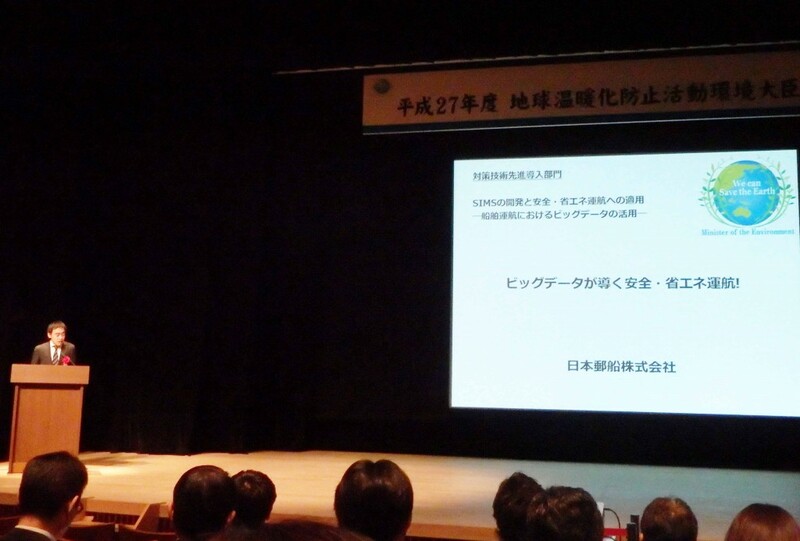 An awards ceremony was held on December 2, 2015, and attended by Yoshiyuki Yoshida, NYK managing corporate officer, and Makoto Igarashi, president of MTI. By employing SIMS on vessels, detailed data can be timely shared between onboard crew and land-based operation staff. Such data includes precise hourly updates on conditions of operation and fuel consumption. NYK started employing SIMS on containerships in 2012 for energy-saving operations, allowing both onshore and offshore staff to access precise information on weather conditions and the speed and fuel consumption performance of oceangoing vessels. By using such big data, more efficient vessel operation and allocation can be realized, resulting in energy savings of approximately 10%. In April 2014, NYK launched the Big Data Utilization Special Project within the Group and is striving to gain further advantages from it. The NYK Group recently installed SIMS on more than 130 vessels of various types. In addition, big data utilization is underway not only for energy-saving operations, but for safety and efficiencies in other areas; for example, reducing repair costs and time-loss due to engine troubles, and proposing optimal vessel types by combining port and cargo information. This award was granted by the Environment Ministry in recognition of the NYK Group’s initiatives to promote big data utilization and efforts to further develop safe, energy-saving operations. In accordance with its “More Than Shipping 2018” medium-term management plan, the NYK Group will further promote the utilization of big data in operations to improve the competitiveness of the company’s services. Equally important, as a good corporate citizen the NYK Group will continue to take an active role in social issues, including environmental conservation, and will continue to make efforts to contribute to the achievement of a sustainable, improved global society.